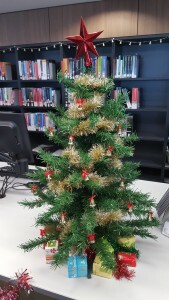 We’re in a festive mood across the campus libraries. Lights, sparkles, baubles, books, it’s all happening! While Caboolture, Gardens Point and Kelvin Grove opted for a more traditional approach, the Law Library turned to its collection of Law Reports in ‘Chancery’ red and ‘Kings/Queens Bench’ green. 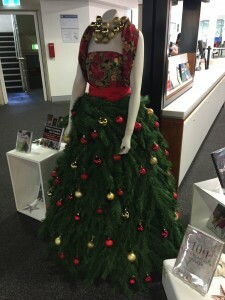 From all of us at QUT Library, we wish you a happy and safe holiday season and we look forward to seeing you in 2017! 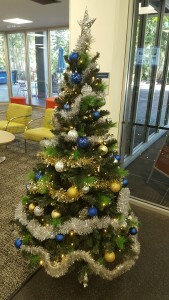 QUT libraries will be closed from 24th December to 2nd January. You can check our website for more information.